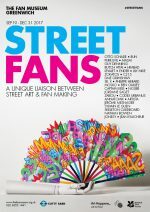 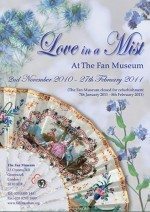 This exhibition of ‘Top Fans’ on show at The Fan Museum, Greenwich – from 28th November 2006 until 25th February 2007, runs concurrently with an exhibition of royal fans at the Queen’s Gallery, Buckingham Palace. 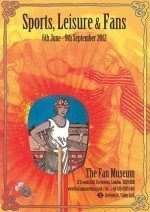 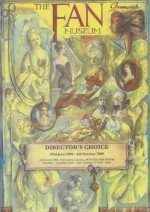 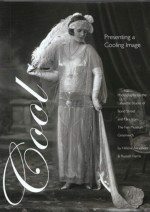 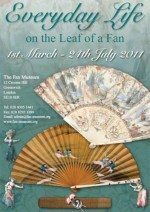 ‘Top Fans’ at The Fan Museum neither seeks to compete, or to compare, but simply to show some of the outstanding fans and fan leaves in the museum’s collections against a background of photographs of those grand ladies who set the tone and collected so many of the royal fans. 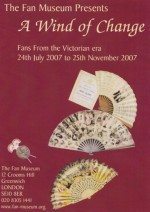 The most noteworthy was undoubtedly Queen Mary, Consort to George V, and grandmother to our present Queen Elizabeth II. 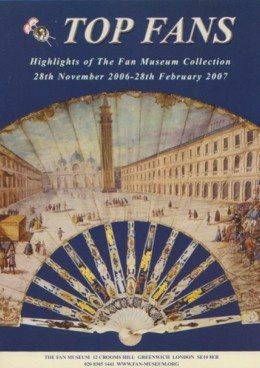 Her flair for the many fine antiques in which she was interested ensures that she is remembered as a great collector and connoisseur of beautiful objects. 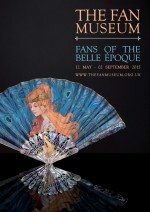 Apart from several fans which show the work of the same artist and therefore address their development as artist, there will be a number of these objects which have belonged to European Royalty such as ‘a Royal Visit’, which is a hand-screen presented to Her Majesty Queen Alexandra when Princess of Wales on 20th June 1900; ‘Orange Blossom’, painted by Alice Loch and given to the Duchess of Connaught by Queen Victoria; and a fan which belonged to la Princesse Mathilde (cousin of the Emperor Napoleon III of France). 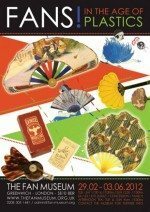 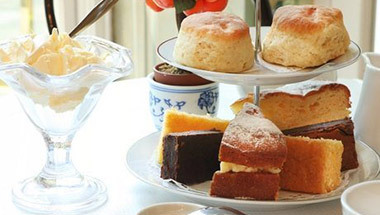 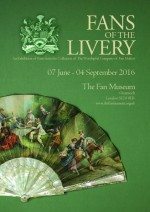 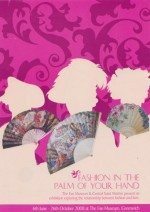 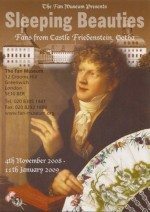 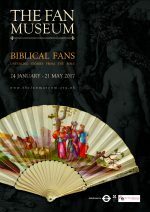 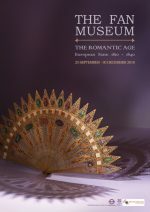 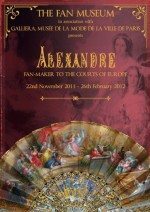 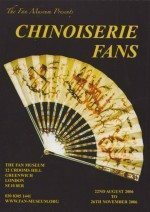 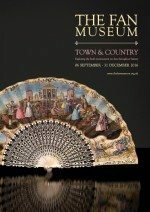 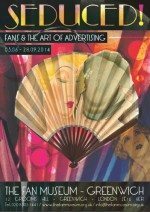 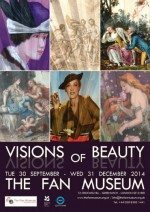 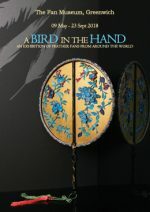 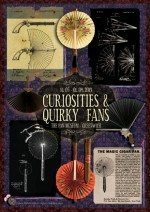 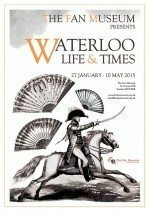 ‘Top Fans’ comprises fans dating from the seventeenth century onwards, with a special section for fans made in China for the European markets and a small number of spectacular Japanese brisé fans conceived as status gifts for visiting ambassadors or as showpieces in international exhibitions. 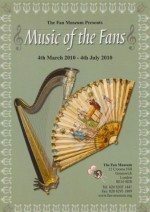 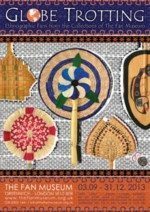 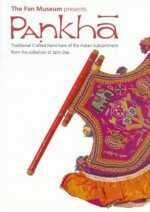 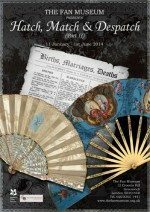 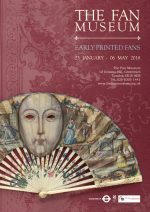 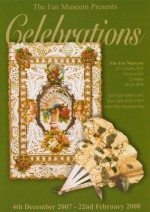 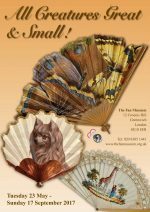 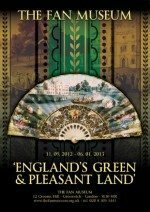 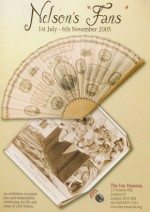 There are also a few of our historic jewelled fans as well as some of the elaborate lace fans, fans from different countries, and many others indeed fans to suit all tastes and preferences.